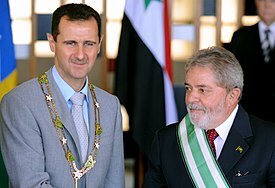 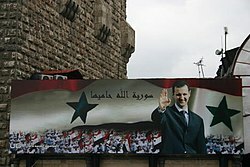 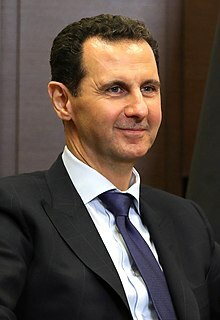 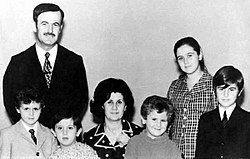 Bashar Hafez al-Assad (Arabic: بشار حافظ الأسد‎ Baššār Ḥāfiẓ al-ʾAsad, Levantine pronunciation: [baʃˈʃaːr ˈħaːfezˤ elˈʔasad]; English pronunciation (help·info); born 11 September 1965) is a Syrian politician who has been the Dictator and President of Syria since 17 July 2000. 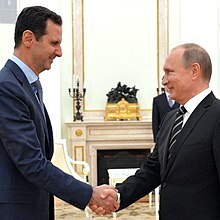 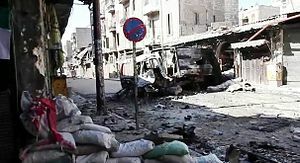 He is also commander-in-chief of the Syrian Armed Forces and Regional Secretary of the Arab Socialist Ba'ath Party's branch in Syria. 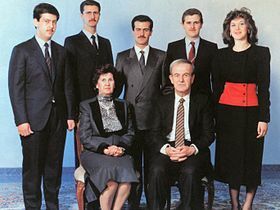 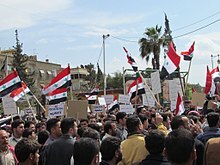 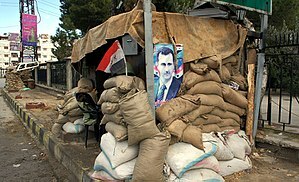 He is a son of Hafez al-Assad, who was President of Syria from 1971 to 2000.